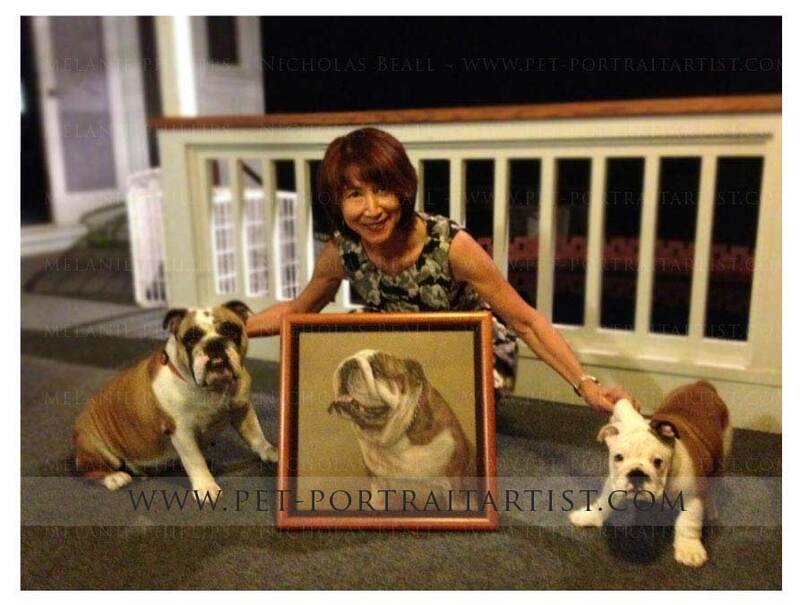 Tom and Pattie Herman from Hawaii, commissioned Nicholas to paint their dearly loved and very much missed Bulldog called Remi. 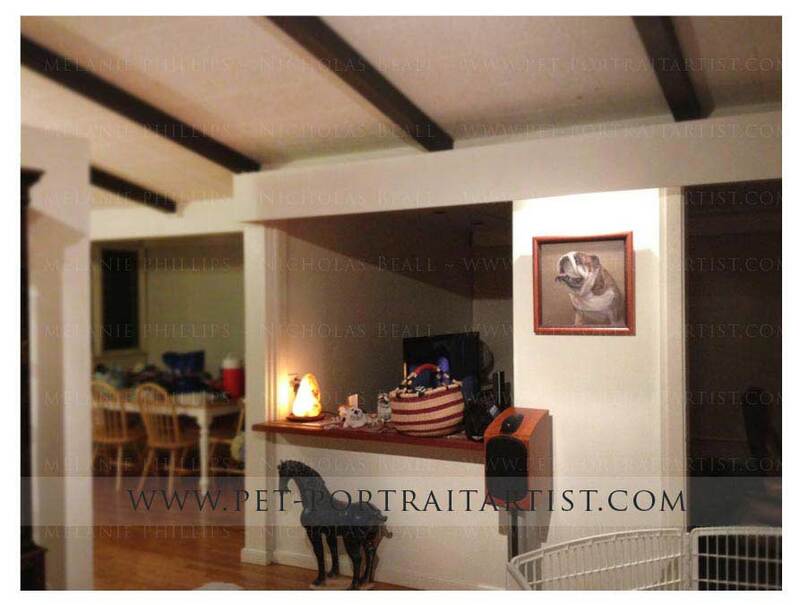 The photos below were taken when the portrait arrived and was framed with Koa Wood, which is a tree that only grows in Hawaii.Remi was so sorely missed that they managed to breed with Remis brother Chewy and their female dog Rubie. Rubie had a wonderful litter of puppies and you can see Rubie with one of the puppies that Tom and Pattie kept called Baxter in the photo below. Tom and Pattie also named one of the litter of puppies Nicholas after our very own Nicholas :) How wonderful was that! 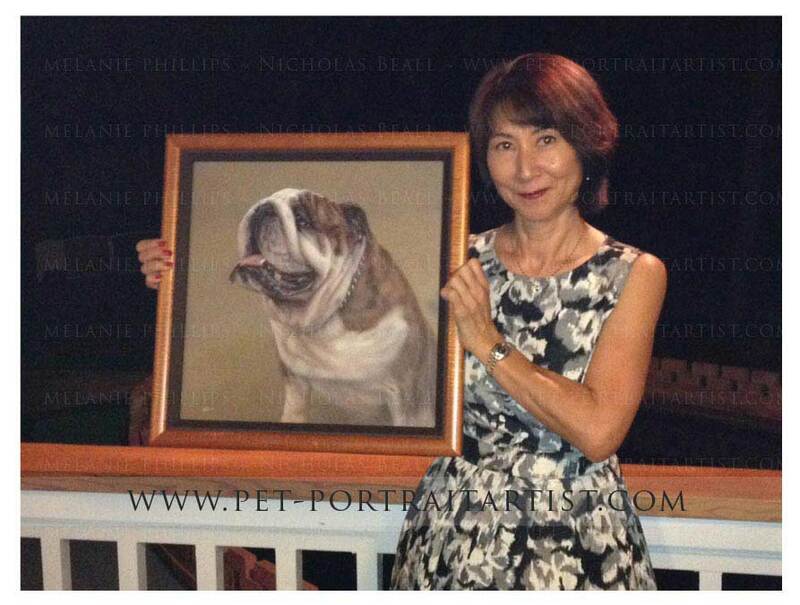 We are absolutely thrilled and will always remember Nicholas the pup. I have added a number of photos along with some of the emails Tom and Pattie sent during and after the process. We hope our clients enjoy reading them and viewing the photos. Sorry this took so long. The framing took a bit longer then expected. We love that Remi is back at home! I can feel his spirit romping around at home and it is really up lifting the positive energy and joy in our house hold. Baxter would not sit still for the pic so I had to grab him...funny. At 3 month old, he is such a rascal and mama Rubie certainly has a hand full in disciplining and playing with him. Much Love to you both. Tom and I are so happy with Rem's portrait. We both teared. 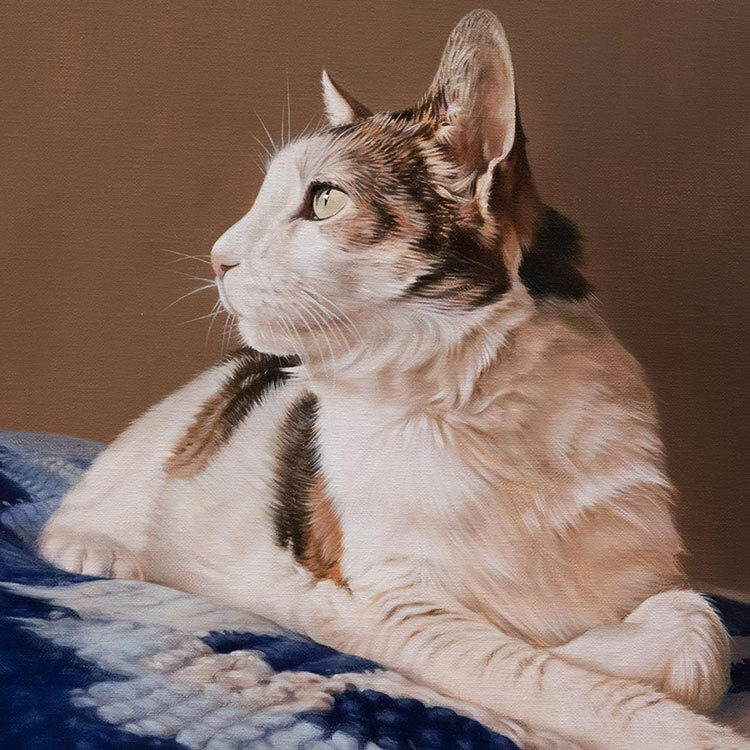 The portrait is being framed now. Will send you a picture as soon as it is done. This is Rubie mama and Baxter refusing to eat celery!!! 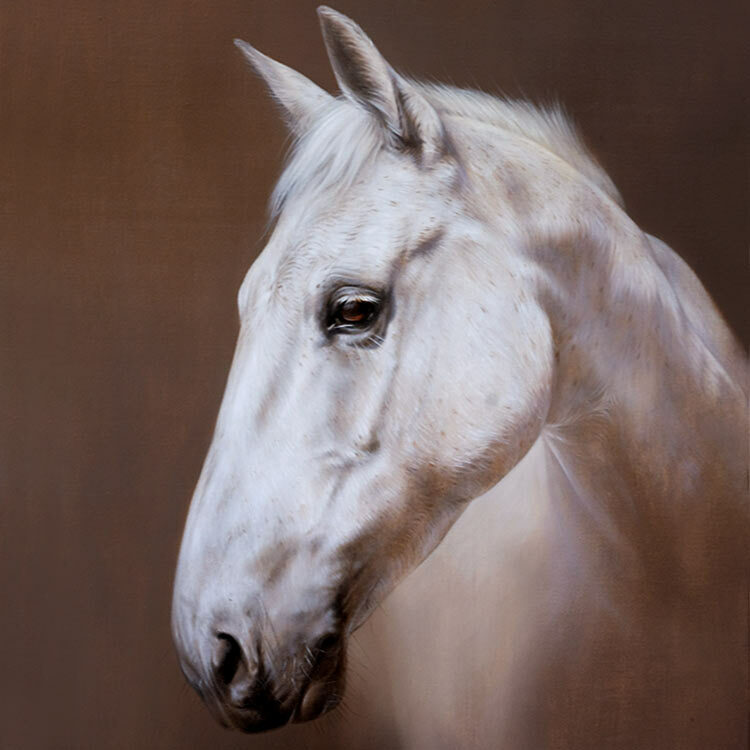 Tom here - wanted to let you know that we received the painting today. It was great to bring Remi home. We'll send you pictures when it has been framed and placed. 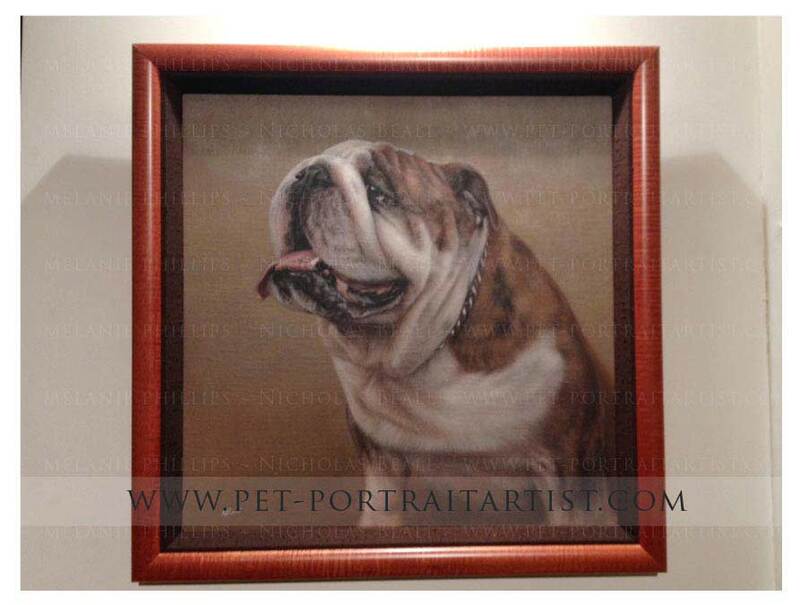 Attaching a picture of Baxter - "Remington's Lord Baxter Voyce of Halekoa Manor", our new Bullie!